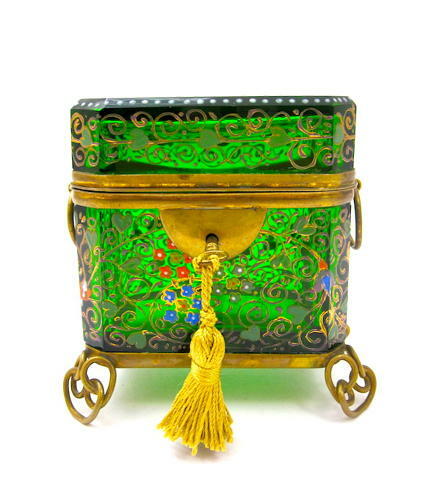 Antique 19th Century MOSER Bohemian Emerald Green Casket Box Enamelled with Colourful Flowers Throughout. Double Dore Bronze Mounts and 4 Scroll Feet. Fine Dore Bronze Mounts, Double Handles and Ball Feet.